The first of its kind! This innovative torque screwdriver puts an ink mark on the screw head to indicate that it has been tightening to the correct torque. When the set torque is achieved, its integrated maker automatically puts an ink mark as evidence of proper tightening on the heads of small screws and bolts. This makes it easy to determine whether tightening has been missed by just visually confirming the presence or absence of marks. 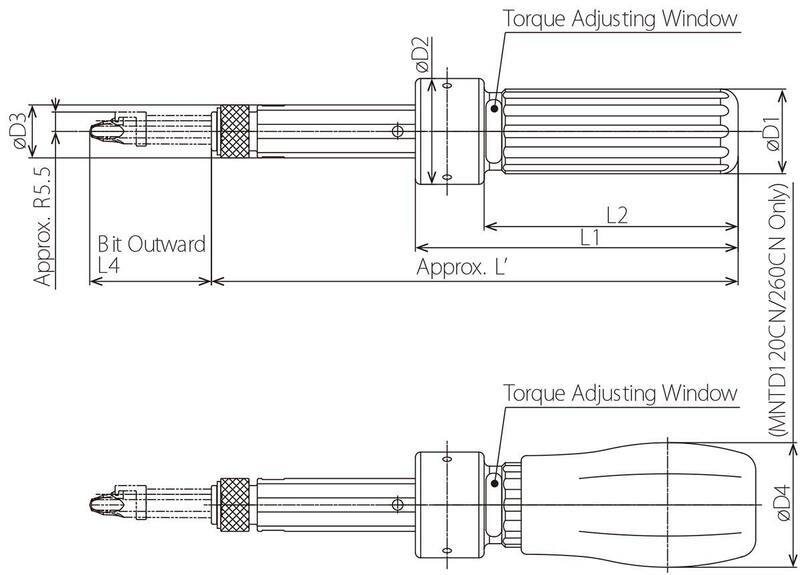 It is common to use a pen to mark work after tightening with a torque screwdriver, but with a Tohnichi marking tool the two actions are combined into one, improving productivity and reducing the chance of error. When set torque is achieved, marking is done automatically, eliminating the possibility of an operator otherwise forgetting to mark work. The clearly identifiable quick drying ink mark provide evidence of tightening to the required torque, and this evidence remains even after manufacturing and shipping. One marker (sold separately) can mark about 1,000 times. Selection of two colors: red and blue. 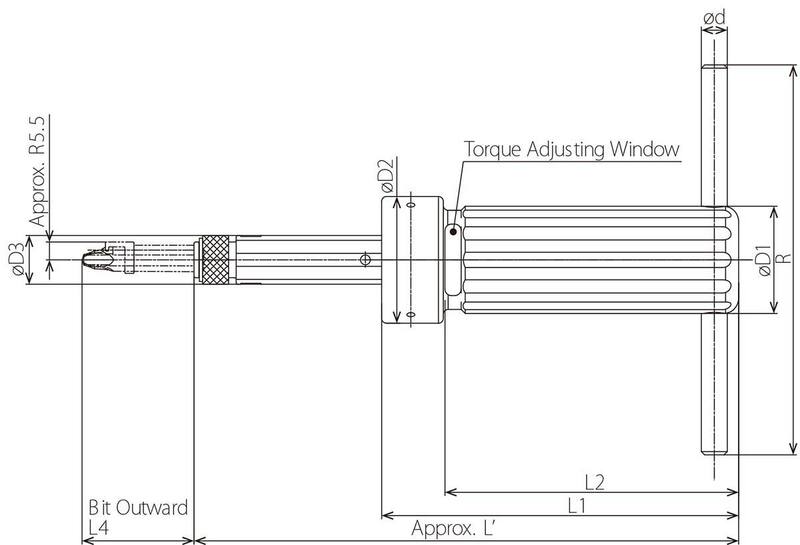 A non-rotary slip limiting torque screwdriver which is the same mechanism as Tohnichi's Models LTD/NTD series. Markings on bolt and screw heads can be detected in image form using an industrial level CCD camera, permitting unmanned inspections. Note 1: Special bits and markers are required during use. Select the body, special bits and marker that suit your purposes, then place your order. Note 2: Use screws and bolts with head diameters of at least 5.5mm. Note 3: Cannot mark locking bolts or screws with hex holes. Note 4: Black screws and bolts may reduce mark visibility. If you consider adopting this system, we recommend that you first conduct tests. Auxiliary handle (standard accessory only for the MNTD500CN), resin grip (green; standard accessory only for the MNTD120CN and MNTD 260CN).